Did you enjoy watching the success of ParalympicsGB during Rio 2016? Were you wowed by the skill of the wheelchair tennis? Fancy giving it a go yourself? Wheelchair tennis is a game for all levels, whether you have aspirations to wear the ParalympicsGB vest one day, or just want a social hit with your friends to keep active there is a level for you. We’re running beginner sessions at Wigginton Tennis Club on Saturdays at 4pm and at David Lloyd York on Wednesdays at 1:30pm so why not come along and join us! All equipment will be provided. Wheelchair tennis is adapted for those who have disabilities in their lower bodies. The size of courts, balls, and rackets are the same as non-disabled tennis. 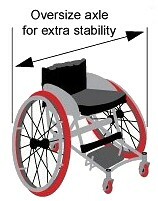 The major differences are that players use specially designed wheelchairs and that the ball may bounce up to two times. The second bounce may also occur outside of the field. York Disability Tennis Network have two specially adapted wheelchairs for use in sessions. 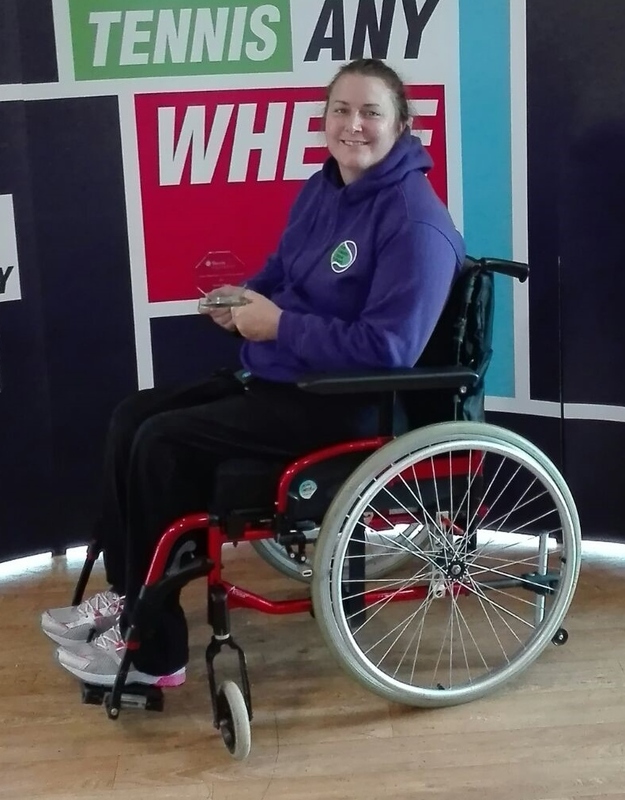 Congratulations to York Disability Tennis Network’s Wheelchair player Dawn Hunter on winning the “Active in York” Award 2016 at the Active York Sports Awards held at the University. Dawn won the award, which was presented by BBC’s Tanya Arnold, for showing persistance, inspiring others, her general determination and demonstrating resilience every week. 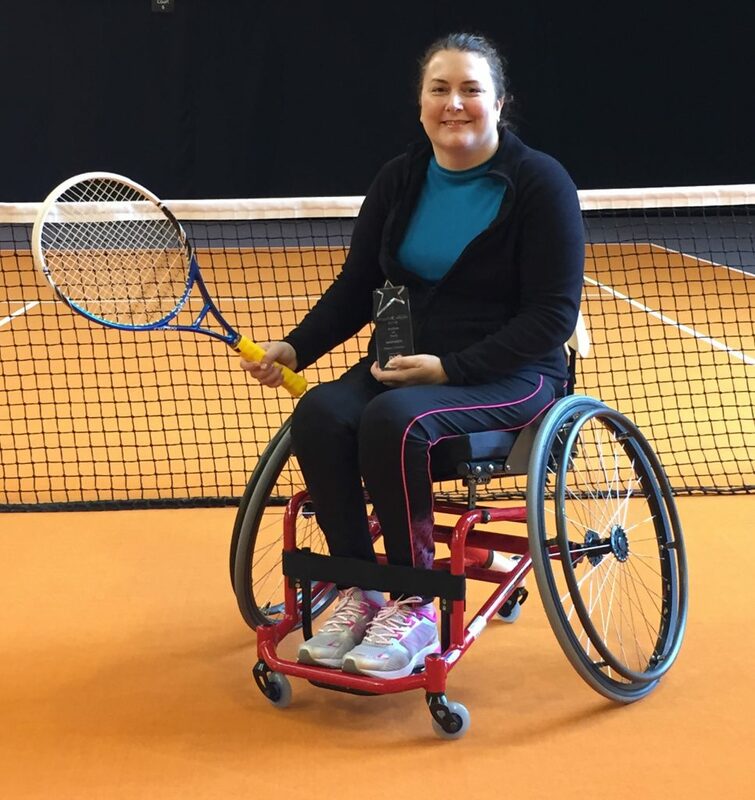 Congratulations to Dawn Hunter on winning the Novices Wheelchair Doubles title with her partner at the Wheelchair National Championships in Gloucester on the weekend of 10th/11th December 2016.